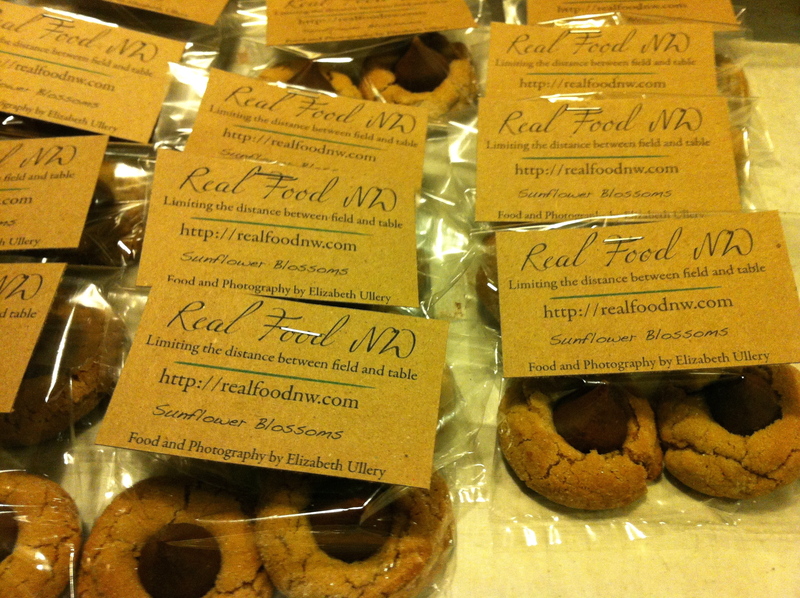 I have 75 packages of cookies baked, packaged, labeled, and ready to be sold at the Bake Olympia food bloggers bake sale tomorrow evening. I’m so excited to get to meet so many food-loving people! If you are local be sure to come downtown and say hi. If you aren’t, check back next week for the recipe! This entry was posted in Bake Olympia, Eat Local, Event, Farm-to-Table, Foodie, Real Food and tagged Bake Olympia, Buy Local, Farm-to-Table, Food Blogger Bake Sale, Foodie. Bookmark the permalink. You are so awesome. These are beautiful! Mine are assembled as well – can’t wait!